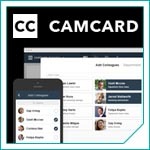 Camcard | UNIGLOBE Direct Travel Ltd.
As a business traveler, you know the importance of exchanging business cards when you're on the road. But you also know how easy it is to lose someone's card and not have that important contact info when you need it. You remember sticking it in your pocket or handbag but when you go looking for it, you can't find it.